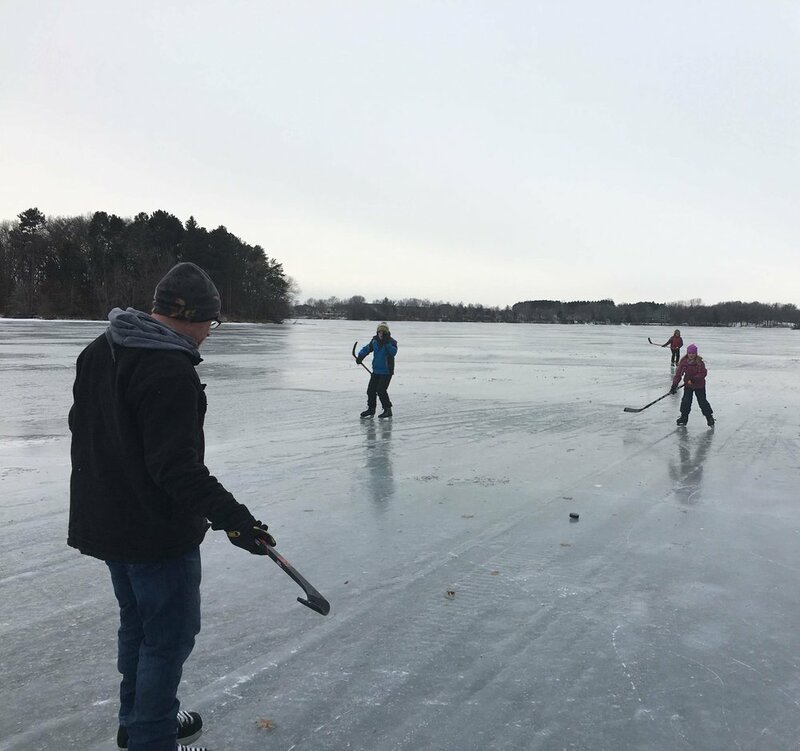 The Polar Vortex only happens once a generation and Minnesotans know how to wait it out and then get right back into weekend play. It is all over the TV, newspaper, and news feeds, the Polar Vortex’s crazy temperatures and wind chills. This past month I have been studying World Geography and been more aware of the Polar freezing temperatures. Having those temps in Minnesota has been a surprise to me. I can imagine North Dakota having low wind chills, but Minnesota shouldn’t get that cold. A New York friend commented that it was time for me to move back to NY. You have had good snow lately but there is much to miss in Minnesota, as there is in New York also (Adirondack Mountains!). I guess the novelty has kept my spirits high. It also helped that our FIRST, yes first, real snowfall of the season came on Sunday night, 3 days ago. A good friend, native Minnesotan, says this is just a crazy odd winter. The four days off school, the first being a teachers workshop and rest from the cold weather, has added to the adventure. The first day I squished a YMCA membership sign up errand in between swim practice drop off and pick up. The thought of four children/teens and me stuck in a house for days without not a chance of activity was the driving force to explore our local Y. How truly glad I am for the role of the YMCA in local communities. Our daily adventures there this week have kept this mom/runner sane and the kids super happy! Normally when I can’t run because of weather or bad roads, I can ski instead. But when even skiing is not an option, I either have to run steps in my house or find a way to be active somewhere else. And since the kids would not last long running steps and with the school buildings all closed, this active family needed the Y for this Polar Vortex. I remember my first Y membership in Moline, IL. It was just after my second child’s birth and I saw a TV commercial. Even though my husband and I had so little money (and I mean so very little money), it became a priority for me. It was my first time to be working out since with my college running team. I quickly found the classes to release my emotional and mental strain of being a new mom. It saved me, as a mom, day after day. And so when we move to Horseheads, NY, I quickly connected with the local Y and got way into a true kickboxing class. If the teacher had eaten a generous meal the night before, we were in for a very difficult workout. But I love challenges, so I would give my absolute all. It also was a time in my life that I had strains at home and the act of hitting something without hurting anyone helped for me to work through my frustrations and leave the class ready to be kinder. The next Y came with our move to Niskayuna, NY (Albany area). The nearest, most family-friendly Y was in Clifton Park and it became our new home away from home. For 8 years I stepped through the entrance doors three times a day with participation in running groups, kid’s classes/swim team, and coaching in the evenings. Yet life still made its next twist and turn and landed us in Minnesota. 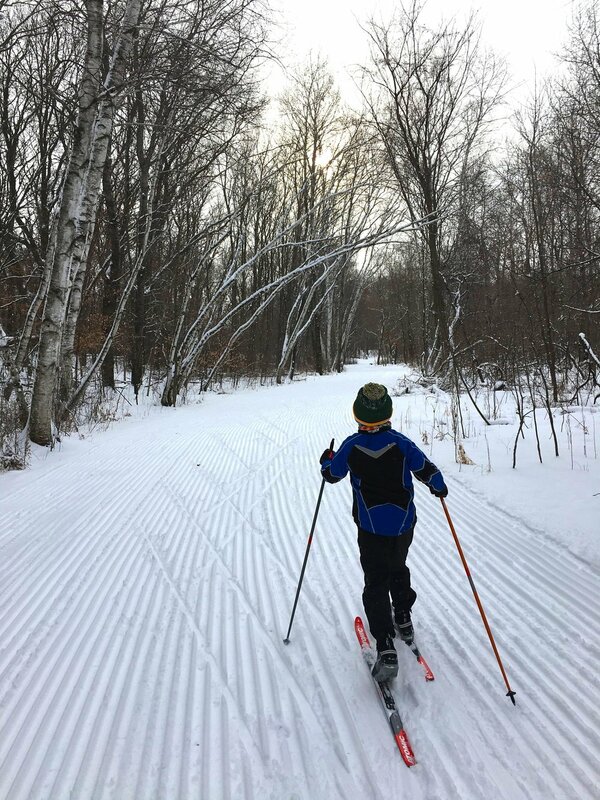 For a year and a half, the family and I spent our active time within nature throughout our community, running outdoors on trails, kayaking, swimming, nature walking, boating, sledding, ice skating, and Nordic skiing. Well, until like I said before, the Polar Vortex sent us into the welcoming arms of our local Y. And so the story of the Y’s impact in our life will continue. I huge thanks to all those that keep the core of our community growing, active, and together through working at our local YMCAs. Another thanks to our furnace. It is not a person or group of people but I am sure thankful that it has not given up on the demand of keeping us warm and safe. With wind chills in the -50s at night and the actual temps during the days (with the sun shining) at -30 degrees, I feared the loss of heat in our home. These days have shown me the value of a comfortable and safe home to dwell in and come home to. And Minnesotans are certainly good at hunkering down, being patient, and entertaining themselves (incredible talent in crafting and woodworking, often displayed at craft fairs and farmer’s markets throughout the year) while they wait for the fierce cold to move on. You must know too that Minnesota in the summer can reach 100 degrees and with very high humidity. These Minnesotans are flexible and find ways to enjoy all the normal Minnesota temps and outdoor activities. I find it funny that it is NORMAL to leave your boat, camper, snowmobile, ice house, and regular trailer parked throughout your yard. Minnesotans love the outdoors and love to play. Friday afternoons everyone leaves town to go north to play, winter or summer. And don’t you dare plan anything on the fishing opener weekend or hunting season, everyone will be gone with plans to play with family. Minnesotans haven’t complained about the Polar Vortex, just made funny jokes and found ways to wait out the frigid temperatures. Thanks Minnesota, for your kind and patient culture.